One barrel tin plated aluminum metric wire lug for use with 2/0-14 AWG wire. This single barrel lug can be used with aluminum or copper wire. Two convenient 10mm mounting hole for easy lug installation. 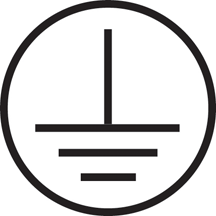 This is a top hat style pressure terminal connector. Two mounting holes gives this lug anti rotation mounting benefit. Not Listed for General Use. "T2/0 (1.03)" 2/0-14 AWG wire range , "Top Hat" style with two short mounting tangs. Dual rated, 1 barrel, aluminum or copper wire, CU7AL, 75C temperature rating, two (2) #10 mounting holes.UL Recognized. Not Listed for General Use. Not CSA Certified. IHI brand. 2/0-8 AWG 120 IN LBS.